As of March 4, 2019, there are more than (n=1)*1,161+ individuals around the world with various types of DIY closed loop implementations (that we know of). This number continues to grow, as does the number of options for various types of DIY closed loops! 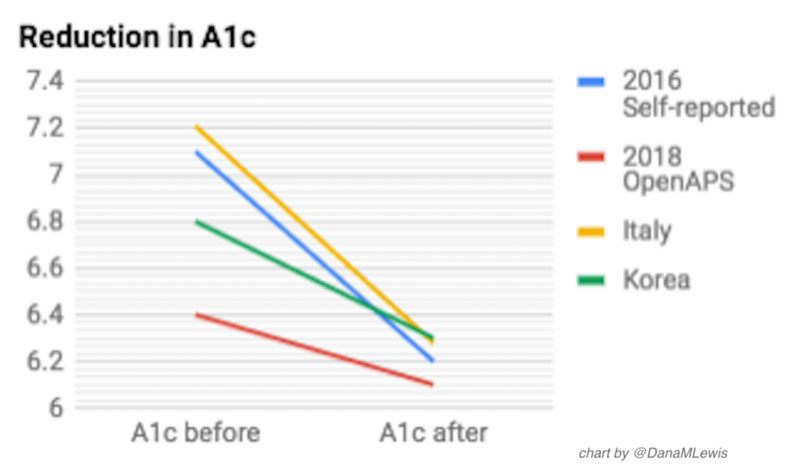 This means #OpenAPS and other DIY closed loop users experience fewer highs, less severe lows, and more “time in range”: most users self-report less of both highs and lows, plus more time in range, AND hbA1c reductions – not to mention the quality of life improvements associated with having a system that can auto-adjust basal rates overnight while they sleep. It means #OpenAPS users have more peace of mind to sleep at night for everyone in the family. Additional studies have been done, both in the community and by traditional researchers, looking at outcomes from those using DIY closed loop studies. In addition to the 2016 self-reported outcomes study, in 2018 another outcomes study was presented by the community, showing similar results (n=20). Additionally, two other sets of researchers from Italy (n=30) and Korea (n=20; pediatric population) also presented data analyses with similar outcomes. 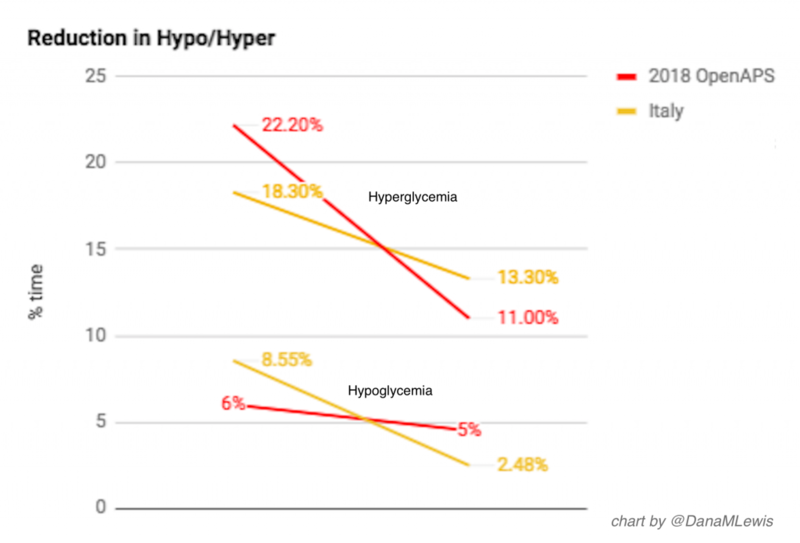 A summary of these studies and their reduction in A1c, time spent in hypo- and hyperglycemia, as well as improvements in time in range, is visualized below.